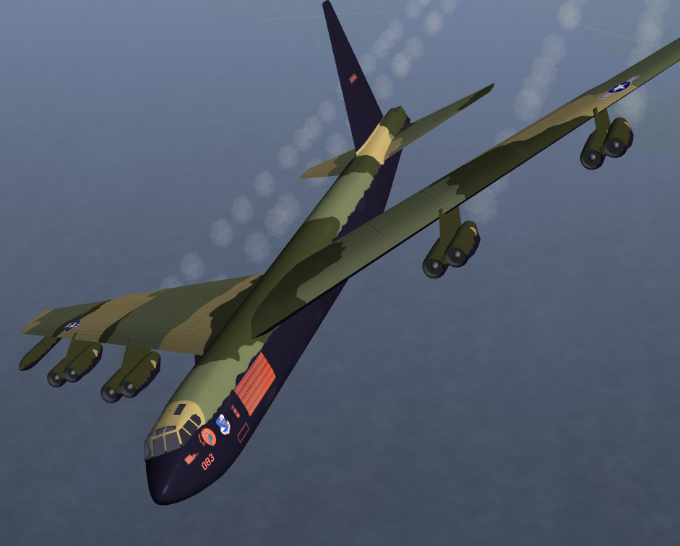 Incorporates the standard FG Aircraft B-52F download pack, with "Diamond Lil", a Vietnam-era camouflage livery as well as the standard Arc Light livery. Bump mapping has also been implemented. Note: tried to implement livery switching over MP without success - if anyone cracks this please give me a version and I'll rework the filepack. WHAT TO DO WITH IT: Install in Aircraft/ directory. Replace B-52F directory if existent.